These Power Balls are the perfect snack for pre or post workouts. They are great for a quick grab-and-go snack for you or the kids and work nicely for lunch or recess. 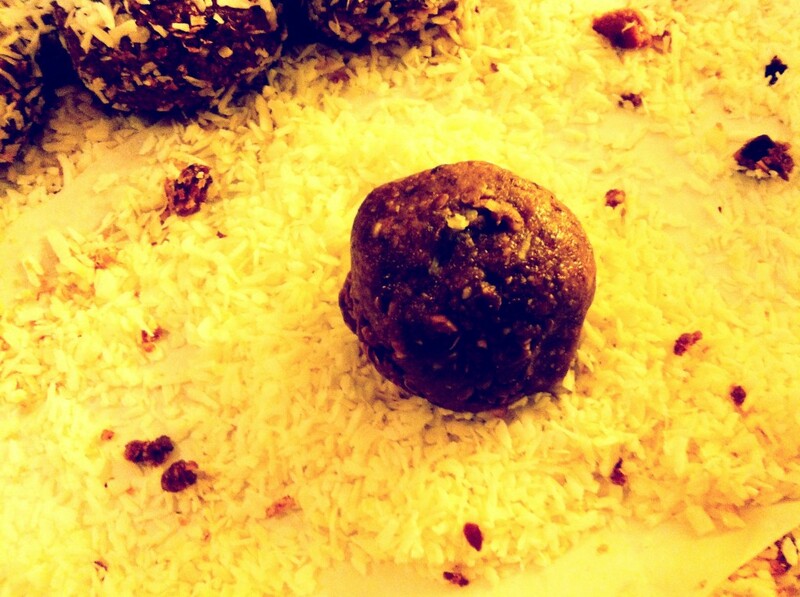 Remember, you can also make LARA Balls from our awesome LARABAR post (there are so many types to choose from). These little bites provide natural energy from a great source of healthy carbohydrates, fats and protein. Everyone in your family will love these little yummy bites. They are just so perfect! 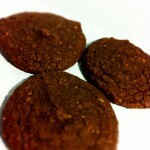 They will satisfy that sweet tooth and you’ll be excited to make more. 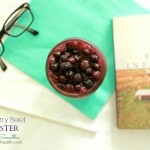 I am sure this will be added to your Sunday food prep for the week. Quick facts on the ingredients that make these balls so powerful! Note: Flaxseeds need to be ground to make the nutrients available. The combination of healthy fats and fiber in the flaxseed help you stay full longer, control your blood sugars and actually help you lose body fat or maintain fat loss. 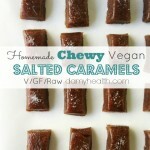 That’s right, chocolate (minus the sugar and fat) is healthy! You can find your precious antioxidants in cocoa. Protein is the building block of life. Protein keeps blood sugars regular, helps you stay satisfied longer, repairs muscle tissue and keeps you from craving foods (sugars). In order to replenish your cells you need protein. *DAMY Members – this is an approved meal 2 snack. 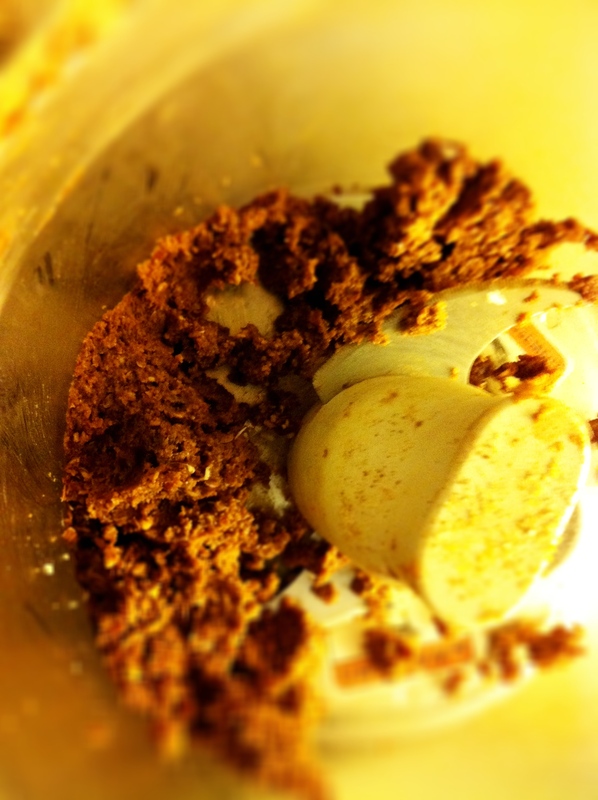 Place all ingredients in your food processor and blend. 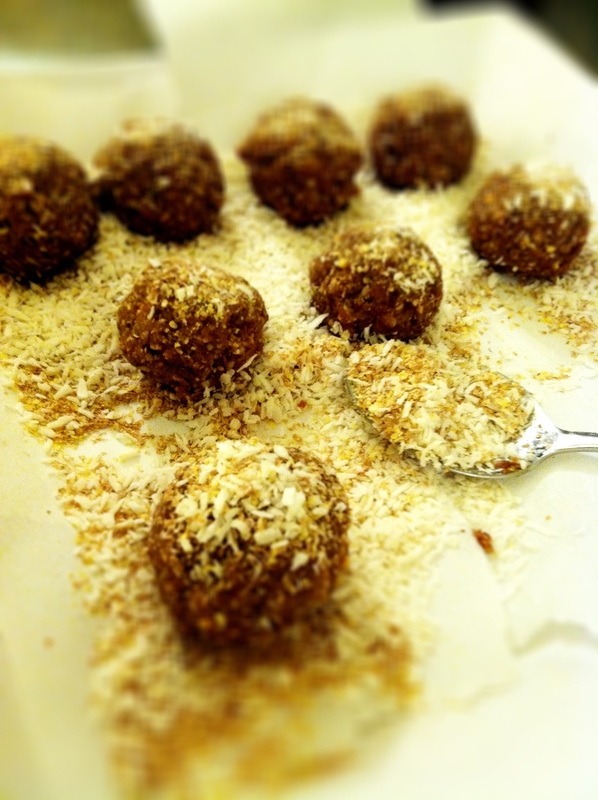 Form into 1 inch balls and roll in wheat germ and coconut mixture. Store in a container in the fridge. *If you find the mixture too thick add ¼ cup of warm water and blend again. *For a 1 inch size ball – 4 DAMY Health Power Balls is considered a snack. If you make them larger only two. 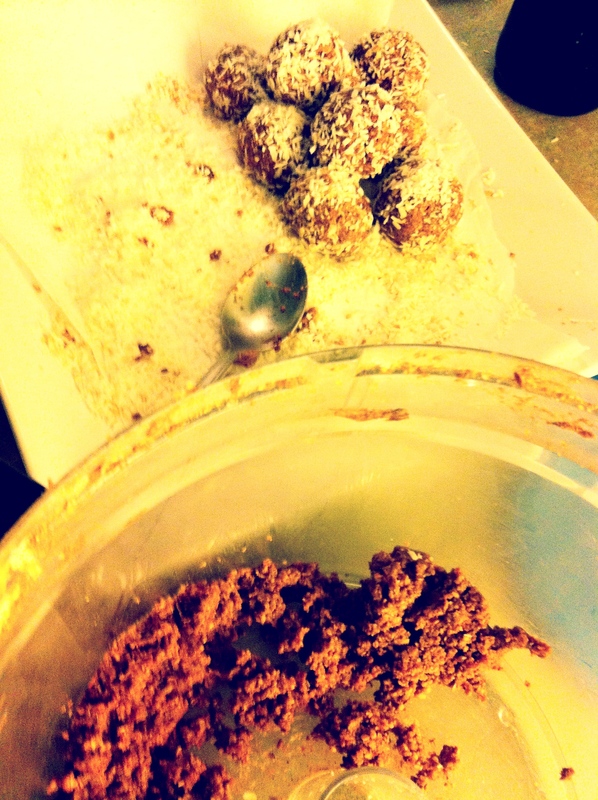 *If you find your balls (lol) are a bit crumby add a couple tbsp of warm water and puree again. Add 1 tbsp of warm water at a time until desired consistency (it may take 1-3 tbsp – watch it and use your own discretion). 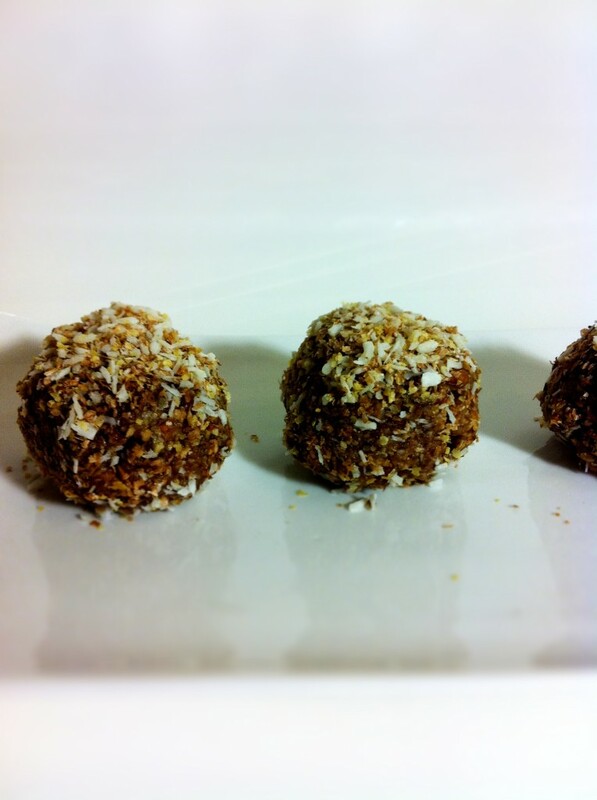 Form into 1 inch balls and roll in ground flax and coconut mixture. 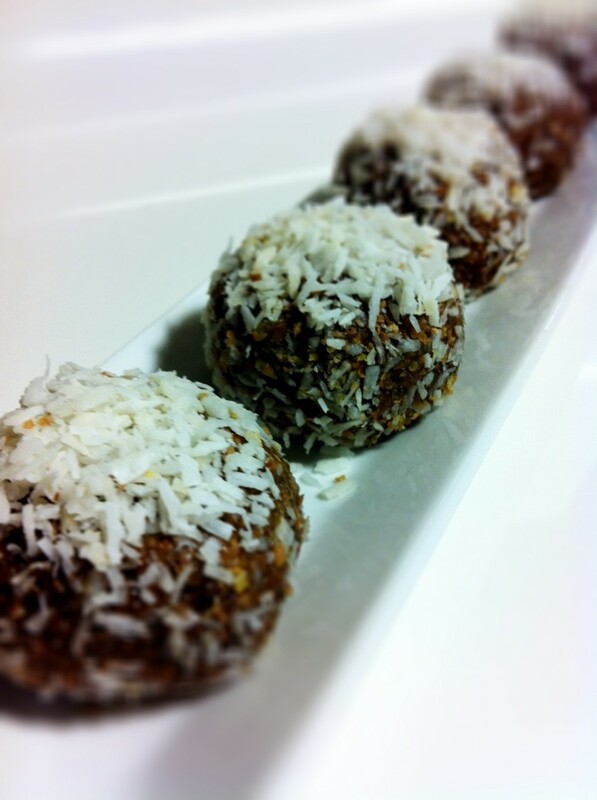 *1 Serving is 4 small balls if you roll them into 1 inch size or if you make them bigger (2 inch) – 2 balls per snack. 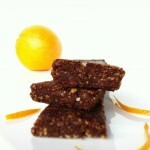 Again these are great for your mid-morning snack or for your per or post workout snack. Protein Powders – As long as it’s natural and has no added sugar or chemicals go for it! Note: You can always drop the coconut if you are not a fan or try toasting it before using it for a different flavor. I love these! 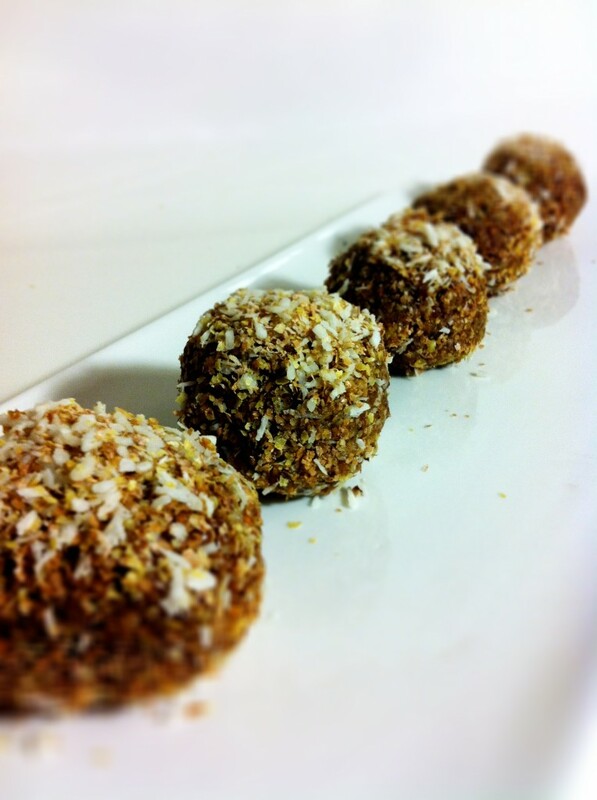 They taste like the Power Balls that Whole Foods sells, but less sweet. Yum! 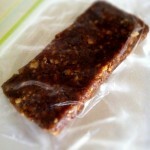 i made the ‘eat more’ inspired protein bars and they were amazing. thanks so much for the recipe.